Modern printing has had a huge impact on stamp production and philately. Experienced collectors and philatelists are now finding themselves having to learn new philatelic terms and definitions. For example, many new stamps are die-cut. What does that mean? Simply put, die-cutting is a method of stamp separation designed for self-adhesive stamps. Older, gummed stamps are perforated so that you can separate them one from another (see article: FAQ-What are stamp perforations? ). Modern self-adhesive stamps are very rarely perforated, instead they are die-cut. In other words, a metal die cuts out the sides of the stamps. Read moreFAQ-What is a die-cut stamp? Canada Post is issuing more and more self-adhesive stamps and a lot of you have asked how to remove them from a paper backing (such as an envelope). A previous article discussed how to do this using Bestine, a chemical solvent. For obvious reasons, many of you would prefer not to use something chemical. Read moreUPDATE: How to remove self-adhesive stamps from a paper backing? Now that you have spent good time and money on your stamp collection, you want to take care of it! What are some of the things you should never do a stamp? Some of these points may seem basic to an experienced collector, but newer collectors may appreciate them. Here goes! 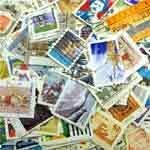 Read moreFAQ-How to care for your stamps properly? Read moreFAQ-Why should I use stamp tongs? The short answer is YES! I’m not just saying that to sell catalogues. I really believe it to be true. I was only introduced to philately in my 30’s and if it hadn’t been for catalogues I would have been lost. I learned a lot from my stamp catalogue. Here is a short list of why they are so necessary. I’ll be concentrating on catalogues for Canada stamps, such as the Unitrade Specialized Catalogue of Canadian Stamps. 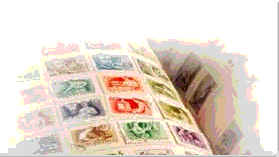 Read moreFAQ-Is a stamp catalogue really necessary? Read moreFAQ-How do I detect a stamp watermark?